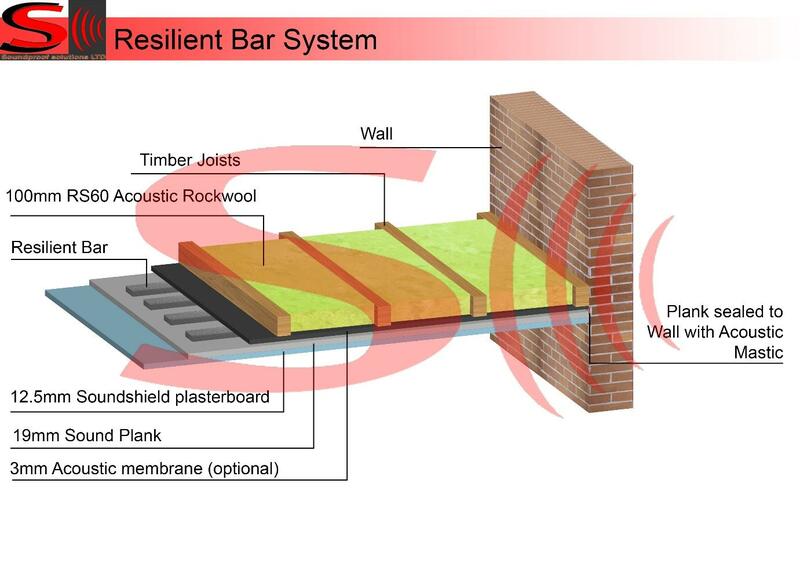 This system is the thinnest ceiling soundproofing solution. It is a very good system when you have a restriction to loss of ceiling height. Around 1.5 inches of ceiling height loss will be used for this solution. Noise reduction: 50-55%. All gaps will be sealed with an acoustic mastic. The solution can be upgraded with additional materials to increase the efficiency. 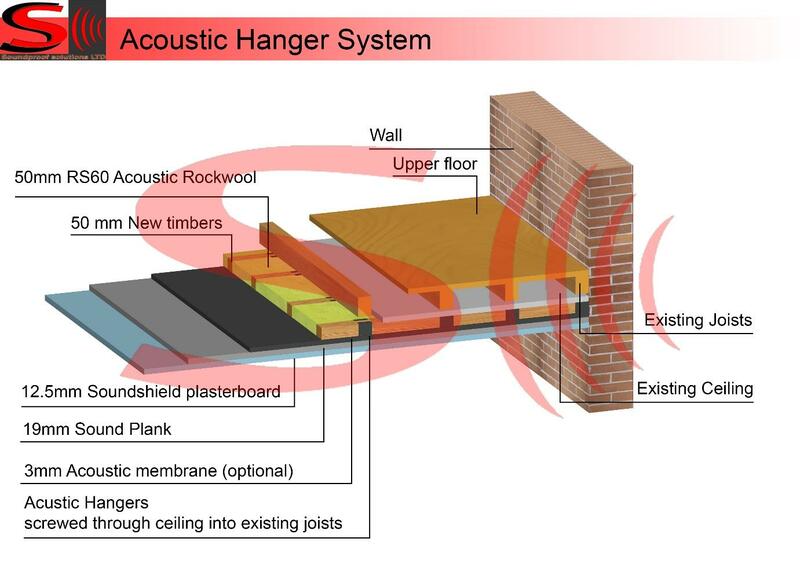 This popular soundproofing ceiling solution is used to upgrade existing timber joists or concrete construction ceilings. It provides improvement to thermal isolation, reducing noise by 55% – 60%. Height loss: 3.5 inches. All gaps and joints will be sealed with acoustic mastic. The solution can be upgraded with additional materials to increase the efficiency. 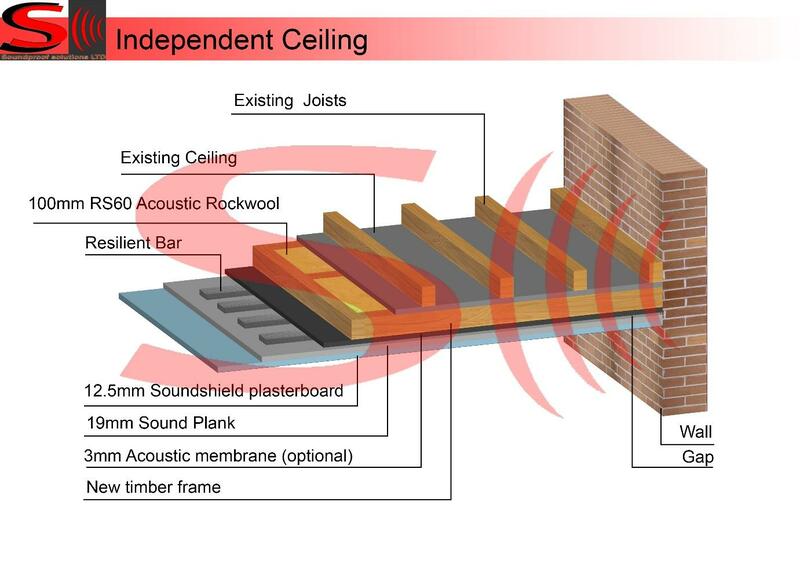 The independent ceiling is one of the most complex and effective systems against the airborne and impact noise. The Independent ceiling consists of a new timber frame with a small air gap between the existing ceiling and newly constructed frame. Around 6-7 inches of wall space will be used for this solution. All gaps will be sealed with acoustic mastic. Noise reduction: 60%-70%. The solution can be upgraded with additional materials to increase the efficiency. This is currently the most effective solution on the market. 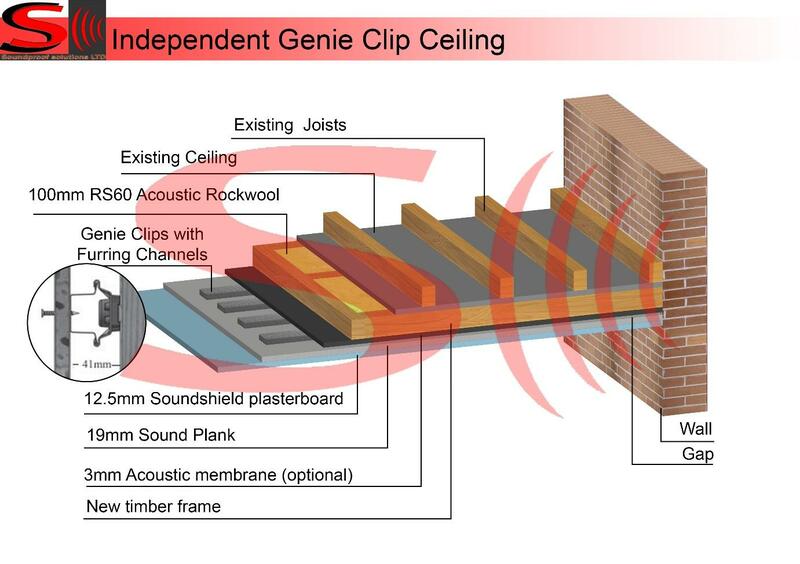 Very similar to the Independent ceiling system, but more efficient thanks to the use of Genie clips (up to 7db). They are designed to absorb vibration and sound isolation. Noise reduction: 70%-75%. Ceiling height loss: 7.5 inches. Solution can be upgraded with additional materials to increase the efficiency.